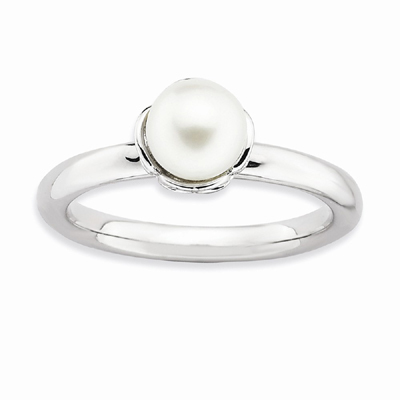 Glamour and sensibility are the perfect pair in this freshwater cultured pearl and sterling silver ring. The sterling silver has a polished finish and is rhodium plated to add to the high end quality of our stackable white freshwater cultured pearl ring. We guarantee our Stackable White Freshwater Cultured Pearl Ring, Sterling Silver to be high quality, authentic jewelry, as described above.